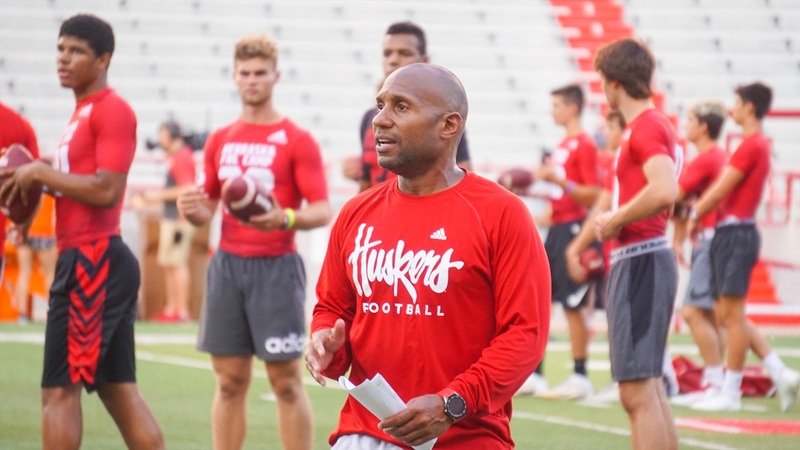 The Huskers just added some serious speed to their wide receiver group. On Wednesday, 4-star (HV Rating: 90.8) wide receiver Demariyon Houston‍ announced his commitment to Nebraska at a National Signing Day ceremony at his school. The Oklahoma City native took an official visit to Lincoln on the weekend of Jan 18. Houston is a former Texas commit and took an official visit to Minnesota just before the early signing period opened but elected to remain on the board through the December period. The pass catcher from Oklahoma adds some big-time speed to the receiver room. He'll bring his 10.71 electronic speed to NU, joining Jamie Nance (10.66) and Rahmir Johnson (10.75) in this year's class, who all have verified track speed as well. As a senior, Houston caught 35 passes for 772 yards and 11 touchdowns. Houston is the 27th commit of the 2019 class. He becomes the fourth wide receiver in the class to go along with Nance of Oklahoma, Darien Chase from Washington and Wandale Robinson from Kentucky.